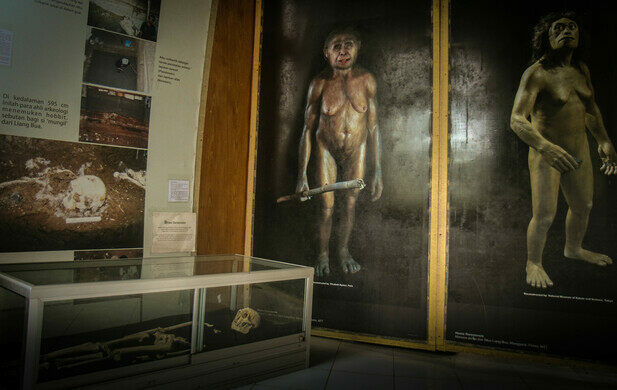 A new “hobbit” species of human was found in the remote Indonesian cave of Liang Bua. 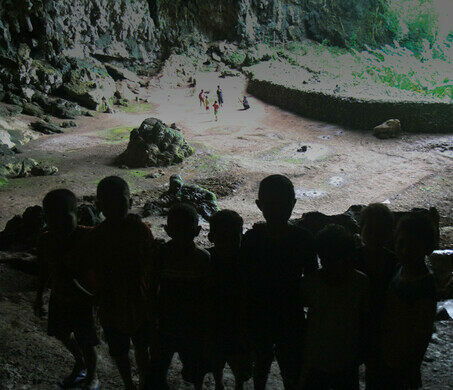 This limestone cave has yielded some of the most important finds in modern anthropology. The remains of two “hobbit” people, as the media calls them, were found here in 2003. 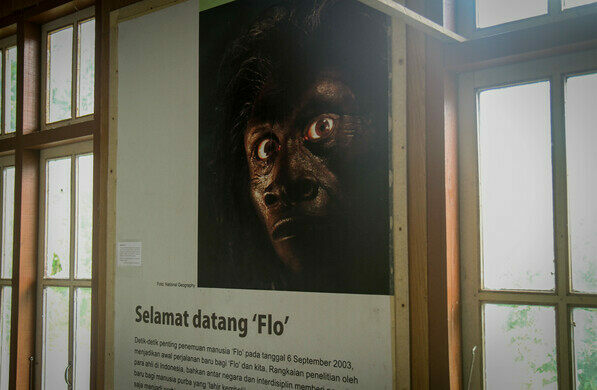 Homo floresiensis, a homo (or human) genus was discovered here by Mike Norwood, professor of anthropology at the University of New England in Armidale, New South Wales, Australia. Dr. Norwood and others have shown that this human existed as recently as 12,000 years ago, possibly putting this species in contact with local homo sapiens. 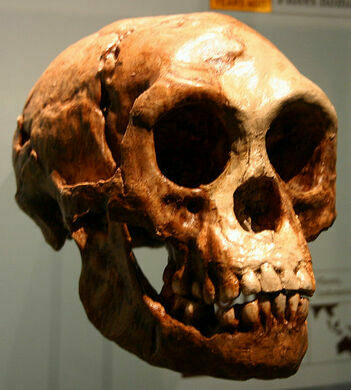 What makes H. floresiensis so remarkable is that they accomplished the same things as their larger H. sapiens cousins, such as making fire and hunting in cooperation with each other, while being less than four feet tall and having brains approximately one-half to one-third of the size of H. sapiens. 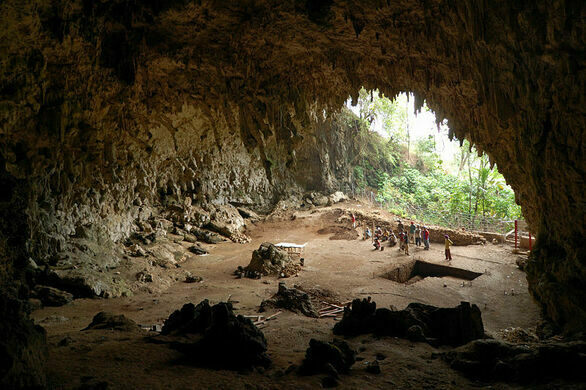 At this point, this cave is the only site where the “hobbits” of Flores, Indonesia, have been found. 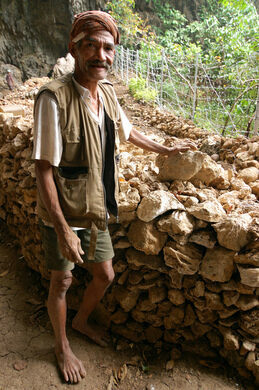 The cave is located north of Ruteng on the island of Flores in East Nusa Tenggara, Indonesia. It is best to hire a taxi or a bemo to get there. Be aware that the road to the cave is in poor condition. The unique design was created by the traditional way communal rice paddies were divided up among the indigenous people. Three wildly colorful calderas top this otherworldly volcano chain. What might be the largest completely Jewish town in the world outside of Israel now faces dwindling numbers and empty streets.